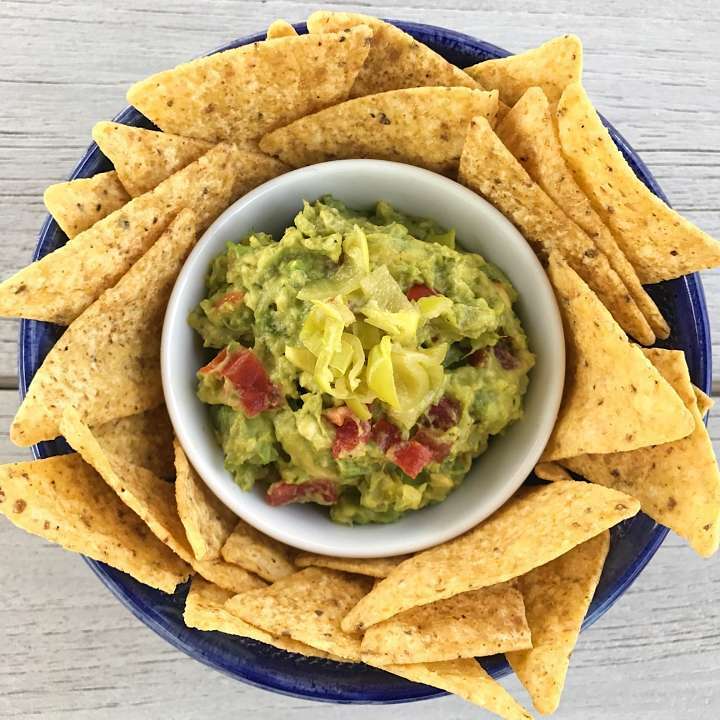 We are big fans of guacamole (I mean who isn’t?) 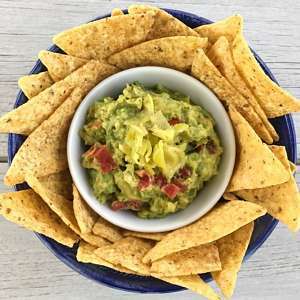 and make it quite often but I always struggled with the right balance of lime or lemon, tomatoes, onions, cilantro and the like, until a friend introduced us to her recipe… the Guacamole rocked our world and we never looked back! The secret to this recipe? BANANA PEPPERS?! (aka Pepperoncini) It’s a game changer. It takes away the need for so many spices, limes, lemons or onions, and adds The. Best. Flavor! Bonus: The juice from the banana peppers has some distilled vinegar and helps the guacamole from changing color and browning. Seriously, this guacamole holds its color better than any we’ve ever made. Mmmmm…I need to try banana peppers in my guac now. Looks great! Thanks Carrie! They are the best secret ingredient– Great flavor + keeps guac from turning brown 🙂 Let me know if you try!